Discussion in 'General Suggestions' started by Han, Aug 16, 2018. Should we add the extended rules to the rules bar? Currently the Rules tab on the navigation lists TTT, Deathrun, Forum, and Teamspeak Rules. I'd like to add in the extended rules to this list, which would look something like this. This isn't difficult to do, would be convenient, and we could also replace the outdated and unnecessary Teamspeak rules with something that would actually be beneficial. +1 Thanks for the suggestion hans, very cool! 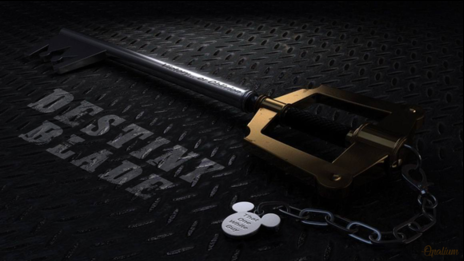 But this would be convenient, yes. Good suggestion, though the name would have to imply it's TTT rules, as while you can leave it as "Server Rules" like in your image, we do have both TTT and Deathrun, with only TTT having extended rules. The DR extended rules are a meme compared to the TTT extended rules, but yeah, I suppose it could be labeled "TTT Extended Rules" for clarity. Doben for the profile pic! Most people in game do something thats against the rules but they are unable to understand that they do something against the rules unless they read extended rules, whihc ofc most people dont, resulting boring explaining when u responmd to their reports over you. Done. 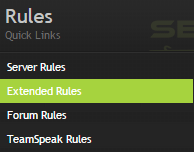 I also took the time to sort the rules menu in general a bit, like removing TeamSpeak rules and adding the Discord rules instead. Everything should be up to date now.